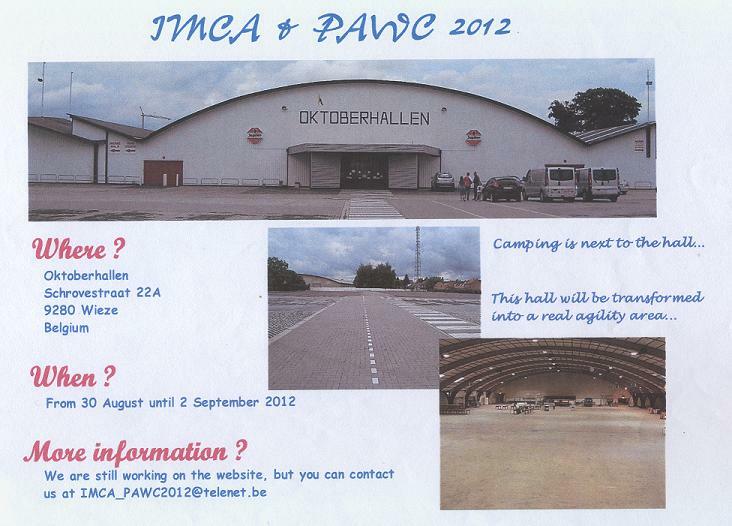 a very big and nice Hall! 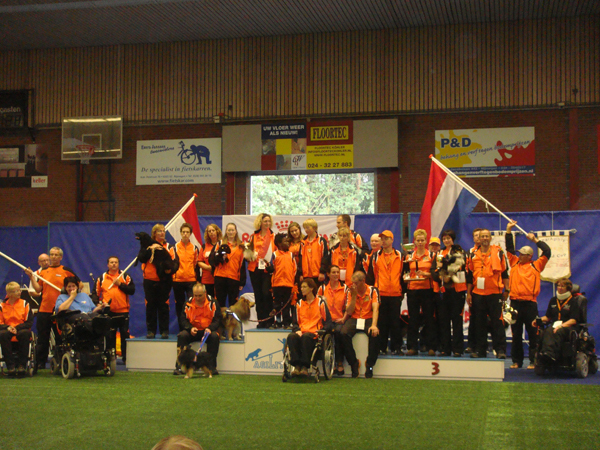 Austria, Belgium, Czech Republic, Finland, France, Germany, Hungary, Italy, Slovenia, Spain, Switzerland, United Kingdom and of course a big team of the Netherlands, which also have won the Totall- Country Cup all results IMCA & PAWC 2012! 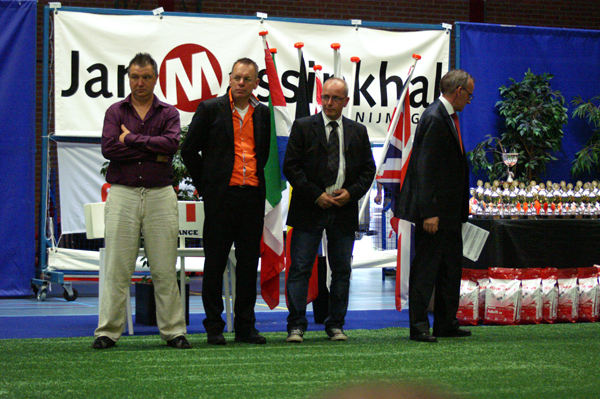 Dimitrie Vanblaere from Belgium, Peter Borsje and Werner Rosseau, both Dutch judges. 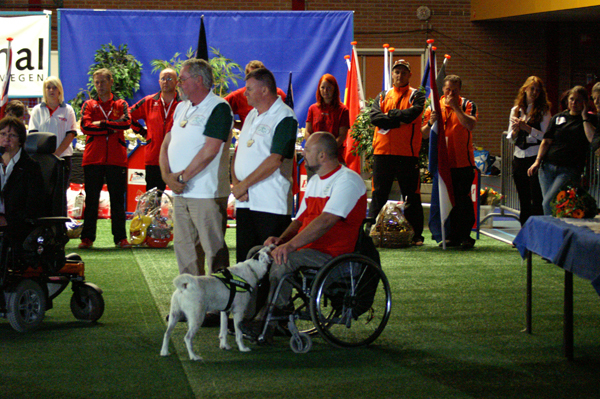 All three have set up racy and challenging courses! 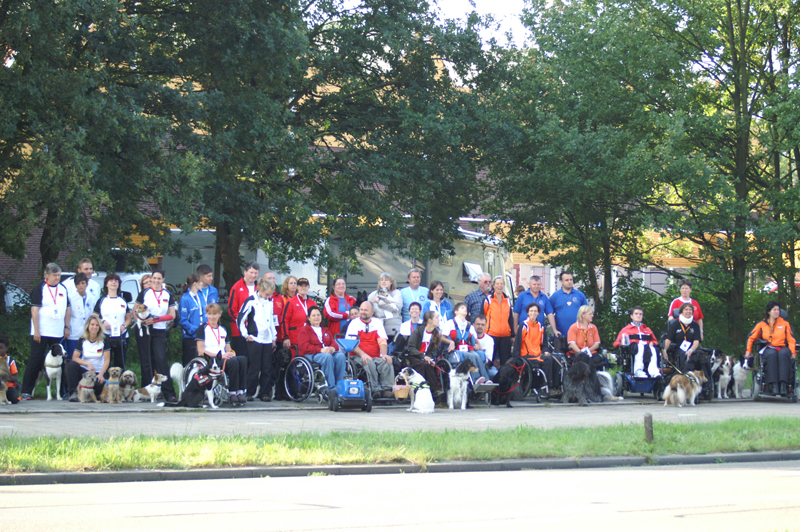 The 10th Anniversery of ParAgility World Cup! 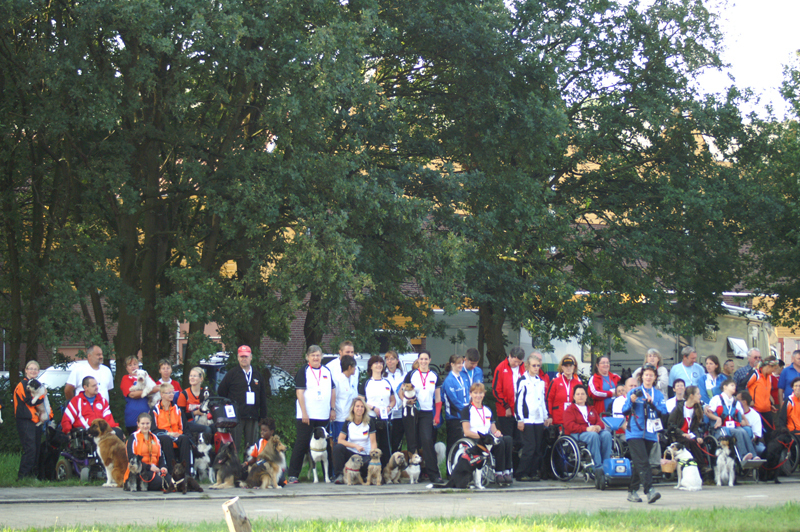 This year 77 taking part dogs for PAWC, a fantastic ascent every year of handlers with a disability who discover and enjoy this great agilitysport! 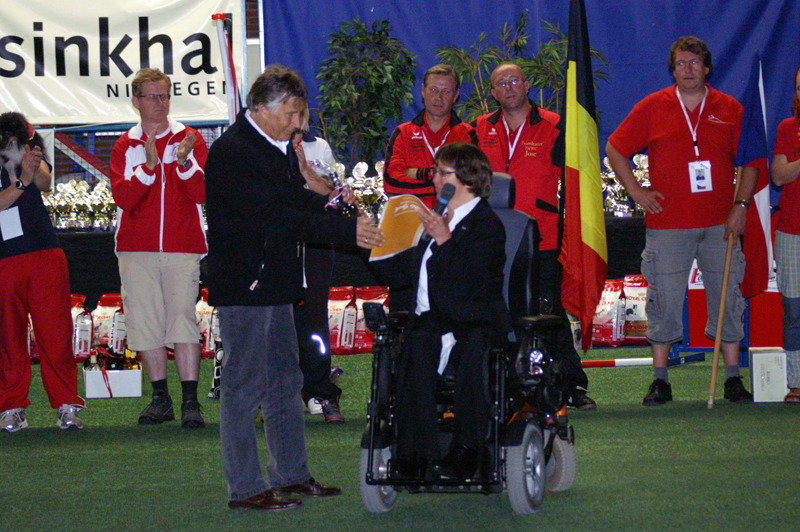 Next year Belgium will be the host-country for 13th IMCA & 11th PAWC 2012!